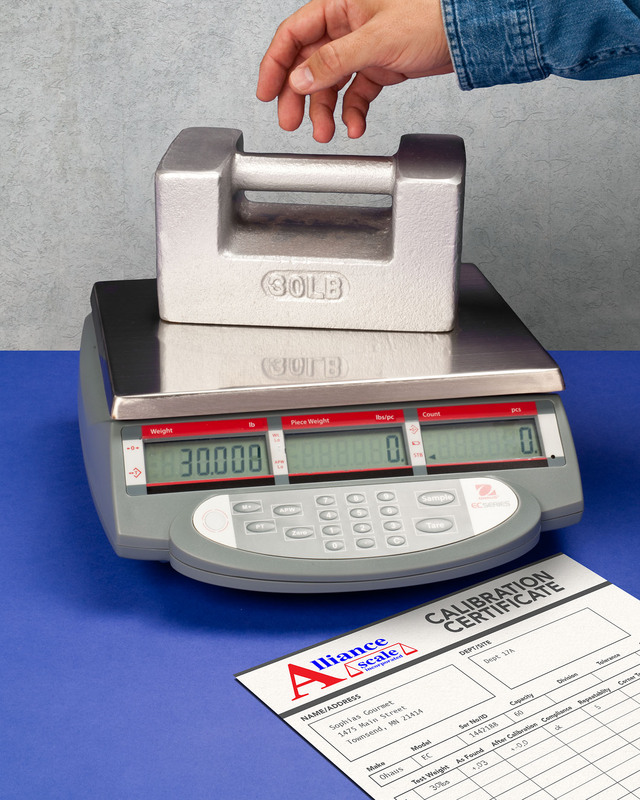 A scale inspection and calibration service that can be performed annually or at some other interval to assure accuracy and conformance to quality requirements is being offered by Alliance Scale, Inc. of Canton, Massachusetts. The Alliance Scale Calibration Service can be performed at whatever time interval is appropriate for a customer’s usage and demand for accuracy. As a guide, if a scale is used an hour or less per day, then an annual checkup is advised; 1-2 hours per day then twice per year; 3-4 hours quarterly; and 5+ hours per day a monthly inspection is recommended for critical accuracy. Service performed with the Alliance Scale Calibration Service include a visual and operation check of the operating mechanism, testing with NIST traceable weights, and providing a Calibration Report and/or Calibration Certificate for an ISO audit. If necessary, a written report and estimated cost will be furnished on any scale requiring further maintenance. The Alliance Scale Calibration Service is priced according to the scale capacity, number of scales required, and frequency of inspections.